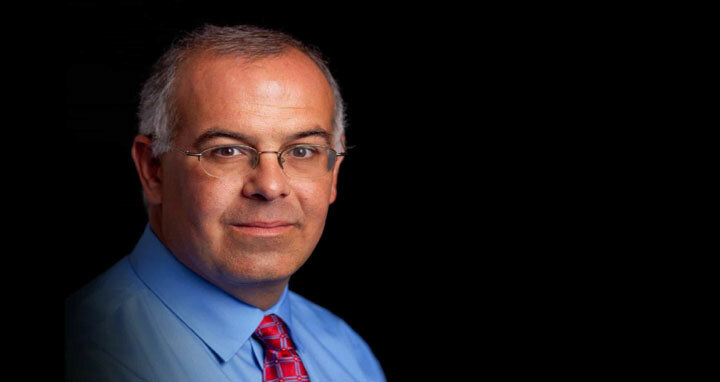 David Brooks: Some of the people who do the most good have a willingness to be radically changed. They are sensitive to the problems around them, which a lot of us are, but they are also willing to transform their lives to address them, which a lot of us don’t consider. I met many such people at a place here in northern Italy called Cometa. Thirty-five years ago, the two Figini brothers, Erasmo and Innocente, were living in Como with their wives, Serena and Marina. Erasmo was a famous fabric designer. Innocente was a prominent eye surgeon. They were successful, but, along with their wives, spiritually unfulfilled, unable to understand the meaning of the suffering they saw and felt. Erasmo went to see a renowned priest, Father Luigi Giussani, who saw faith not as an intellectual system but as an encounter with beauty, a love story. Erasmo returned to his wife and reported: “God exists. I have met someone who is a witness to his reality.” Serena was intrigued: Erasmo was the last person you’d call religious. But eventually both couples met with Giussani and all found faith. One day in 1986, Innocente reported that there was an HIV-infected baby at the hospital whose mother was dying. Erasmo and Serena had vowed to each other that they would never have children, but they felt a swelling of gratitude and said they would foster the baby. Soon, other children came along, and still more. Over the past three decades, hundreds of foster children have lived in the Figinis’ compound, now called Cometa. If you go to dinner there you find five adult couples and up to 40 children around a long U-shaped table. Like all of us, the people at Cometa are aware that the worldwide decline of family and community has left millions of children estranged from any experience of a loving home. Unlike most of us, they’ve transformed their life plans to fill the gap. But the willingness to change did not end there. When foster children elsewhere in Como seemed unmotivated, Cometa started an after-school program, which now hosts 130 kids. Because local kids were dropping out of school, Cometa built a 450-student vocational high school on the compound. Cometa also has a woodworking facility, a parental counseling center, a mental health center and a cafe in a local park. It also helps direct a hotel management school. If you or I had hundreds of kids running around there’d be general chaos. But Cometa is beautiful. The gardens are immaculate and meticulously designed. The family homes are modest but look like they came out of Architectural Digest. “Beauty educates,” said Serena, quoting Giussani. The children who come here often feel tossed aside. But beautiful surroundings make the children who come here feel important, welcomed and cherished. If a toy breaks at Cometa, it is fixed right away. Likewise, every child is recoverable. The people in Cometa don’t only treasure beauty, they assume it. In a world of distrust and betrayal, they assume there is beauty in each person and in every situation, so they lead with an almost unnerving level of hospitality. The idea is to give students the power to welcome others, born out of a sense that they have been welcomed. One of Giussani’s mottos resonates through Cometa: “Reality will not let you down.” You can take the radical leap, because life ultimately is beautiful.